Whether you have a residential or commercial property, we can perform thermal inspections for you. Thermal imaging or a thermography inspection is regarded as the most powerful tool to ensure the integrity and safety of your property. Anything electrical and mechanical will heat up before it dies and with thermal imaging, we are able to detect any issues before they happen through our heat detection technology. But thermal imaging isn’t just limited to finding electrical faults and issues; it’s also an excellent technique to detect water leaks. Through our non-invasive assessment, we can find a water leak or moisture within a building and can detect where the water is coming from in a matter of seconds. This can save both time and money when working with plumbers to fix the leak. Thermal imaging services are crucial for any property manager to ensure the integrity of the building and the safety of the people within the building. Also, as per AS 3000/ 8 and AS 3760-2010, thermography inspections are actually required regularly for you to comply with Australian safety standards. Reduce downtime and repair costs for your property? Avoid after-hours calls because something has failed and tenants are without power? Ensure your building is up to date and complying with all Australian safety legislation? Depending on your insurance provider, enjoy reduced insurance premiums? 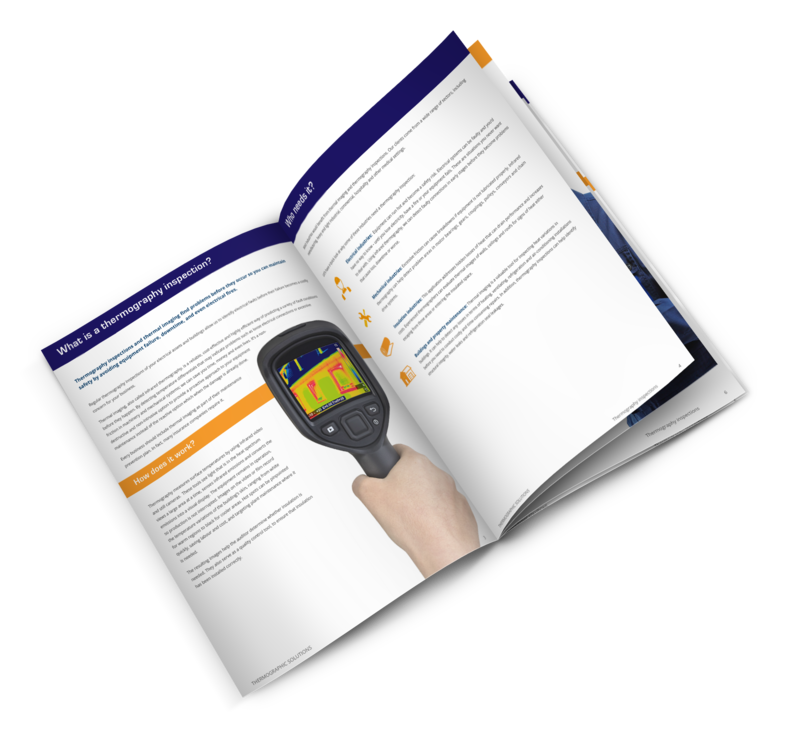 Find out everything about thermography inspections and how they can protect your property by downloading our comprehensive guide. In this guide, we have collated all the necessary information for you so that you can find everything you need to know in the one place. At Thermographic Solutions, we are proud to be an independent provider of our thermal imaging services as this means that we have no hidden agenda when it comes to identifying any issues. Instead, we simply provide you with professional, independent recommendations and advice. Download your copy now to make sure you’re doing everything in your power to keep your building and residents safe. If your building is in need of a thermal inspection, don’t put it off any longer. Contact our friendly team to find out how we can help you.